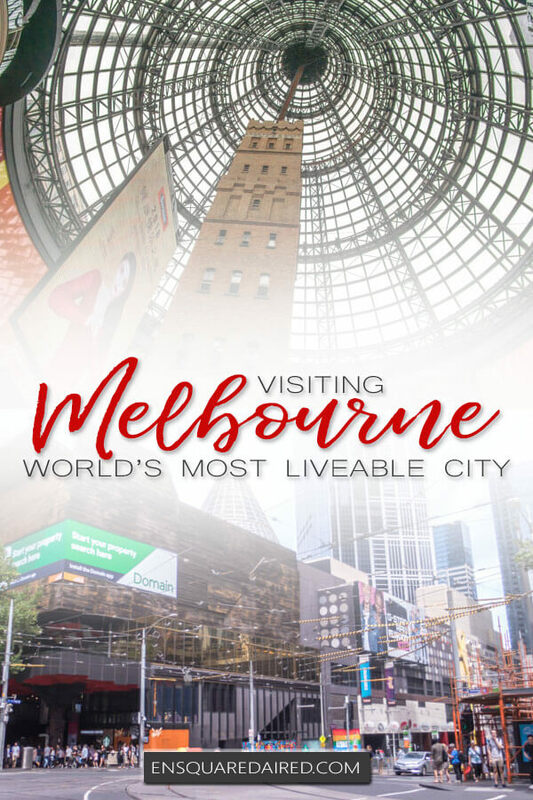 This Melbourne travel blog post documents what it was like to explore the world’s second most liveable city during my year of travel. It is safe to say that after spending quite some time in the city, I can see why people would want to move here. 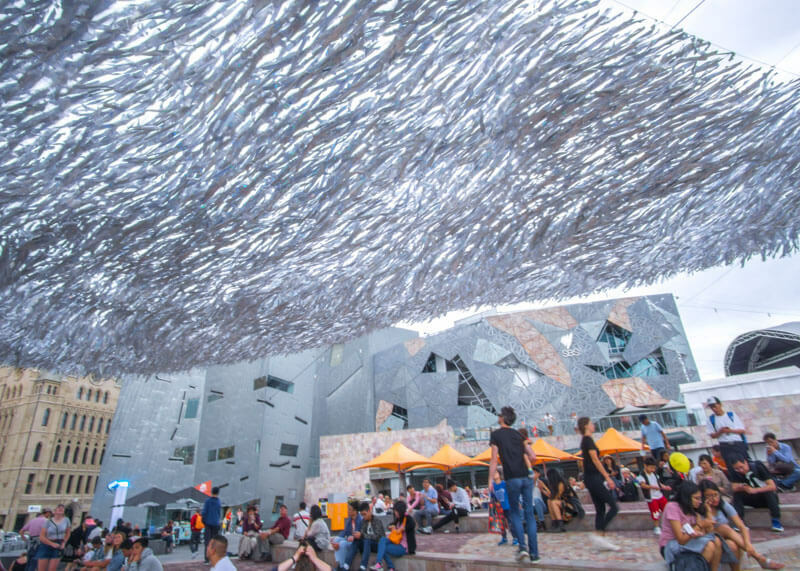 Here is a glimpse of what life is like in Melbourne. We arrived in Melbourne after a short flight from Sydney. We somehow managed to make it to Southern Cross station, the central station and decided to chill there since check-in to our hotel wasn’t until 3 pm. 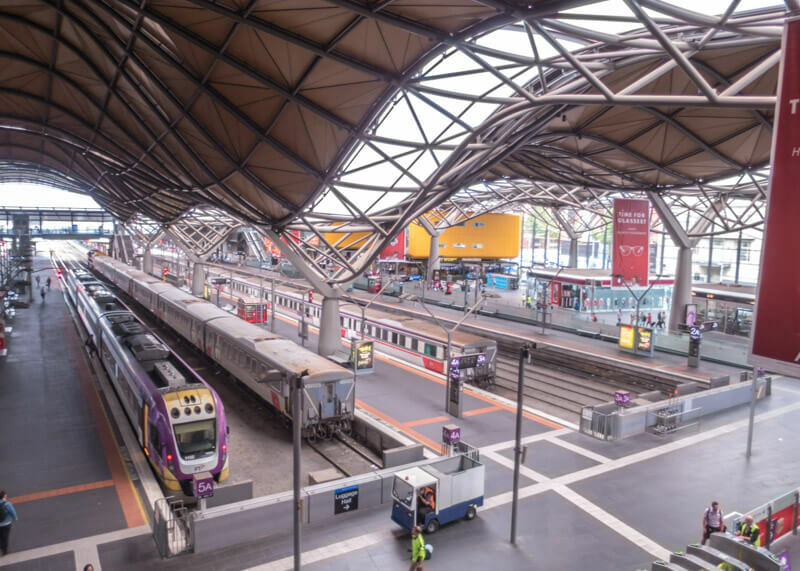 I was very impressed with Melbourne’s sophisticated main station. It reminded me very much of Toronto’s Union Station. 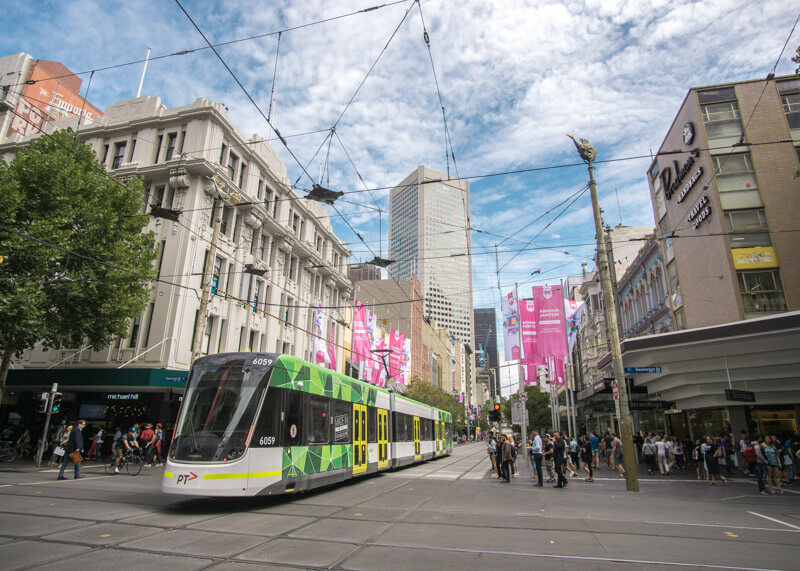 A city’s transportation system says a lot about the place, and already I was quite impressed with Melbourne. After checking into our hotel, we took it easy and explored the vicinity. 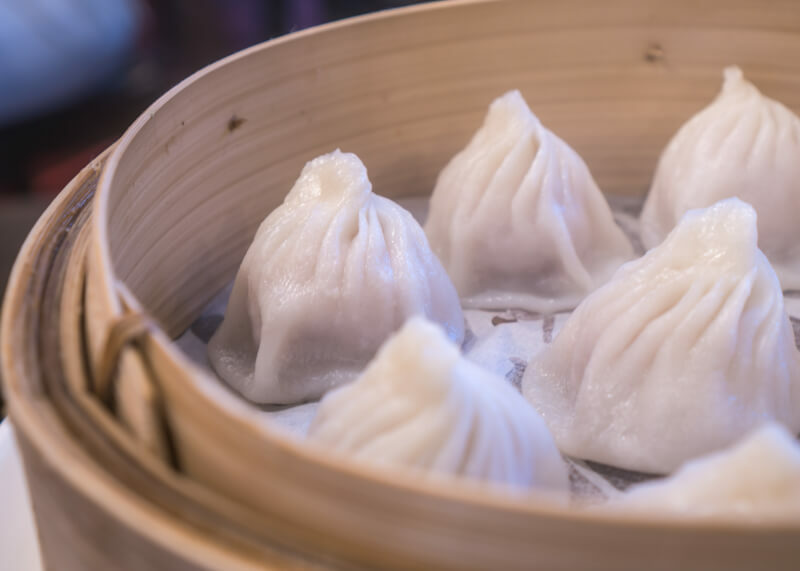 While our area is full of Italian restaurants, we were craving… Asian food (of course). 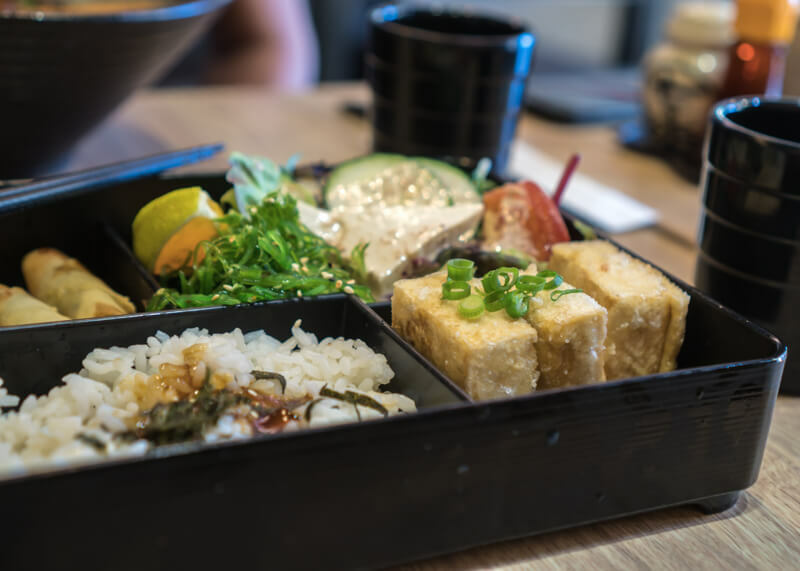 We wandered around the streets until we found a Japanese restaurant. 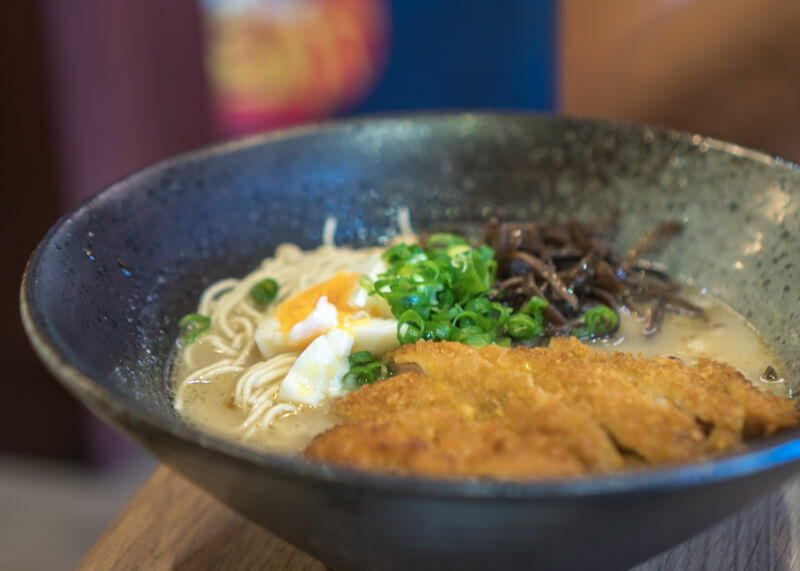 Tonkatsu Ramen | $12.90 AUD. 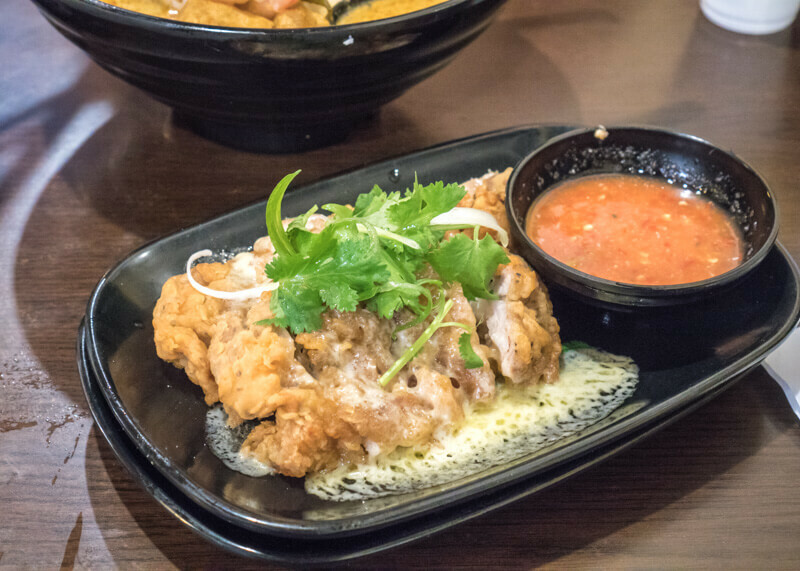 Served with deep fried pork, egg and vegetables from Rakuzen Simple Japanese. The food was not bad, but enough to satisfy my Asian food craving. We spent the next day exploring Melbourne. 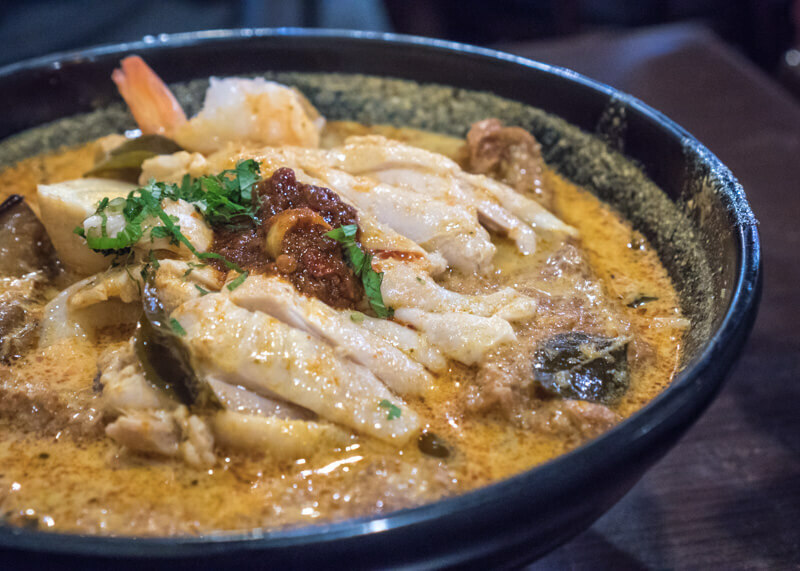 While looking for a place to eat, we discovered a place that served Malaysian laksa! This bowl of laksa alone made me ever so happy since it’s been a while since I had laksa in Singapore. 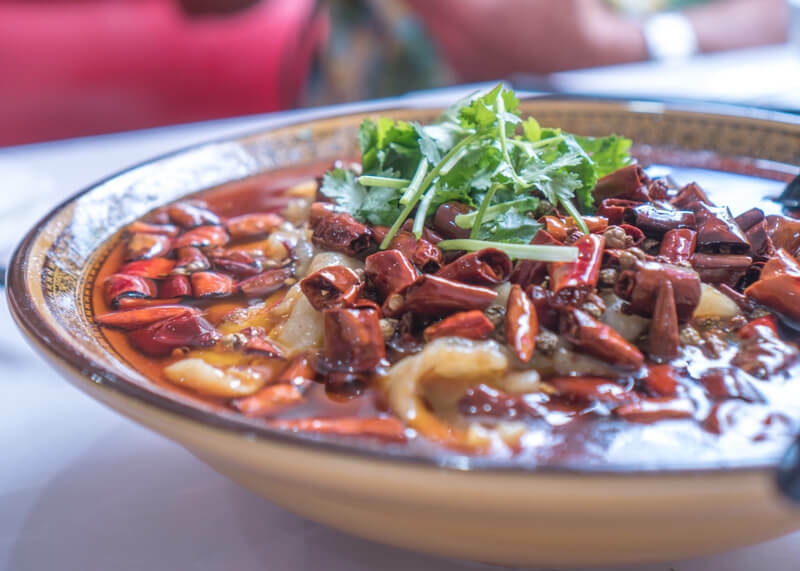 This laksa noodle soup was so good that we came back on our last day in Melbourne. 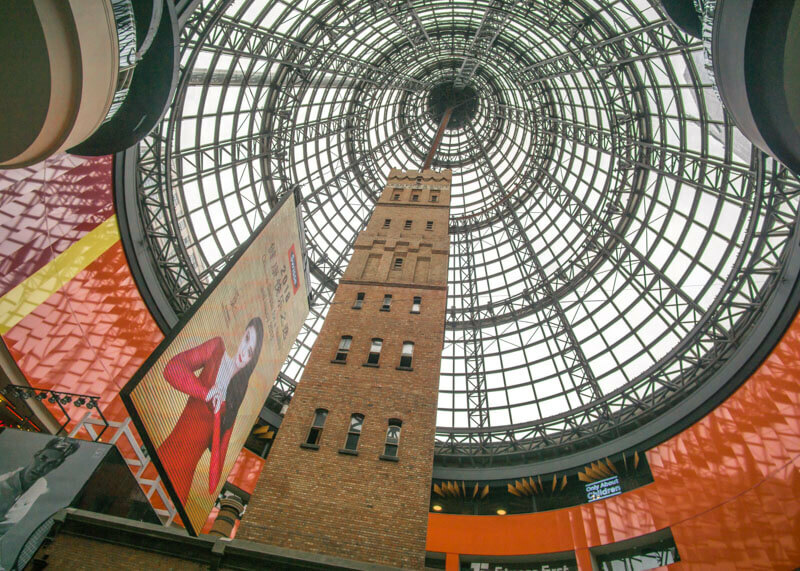 I won’t lie – this shop alone made me fall madly in love with Melbourne. We then took the tram and toured the city. While the tram is super old and goes around the city in the downtown area, it hit all the touristy places. Best of all, train rides within the downtown core are FREE! It’s not like other cities where there is a lot to see. It’s more of a city where you can explore and take in all the sights and sounds of the place. 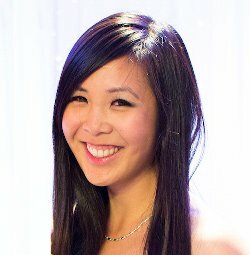 I started to think about what life would be like if we had the chance to live in Australia (never abandon an old dream!) and felt that Melbourne would be an ideal place. 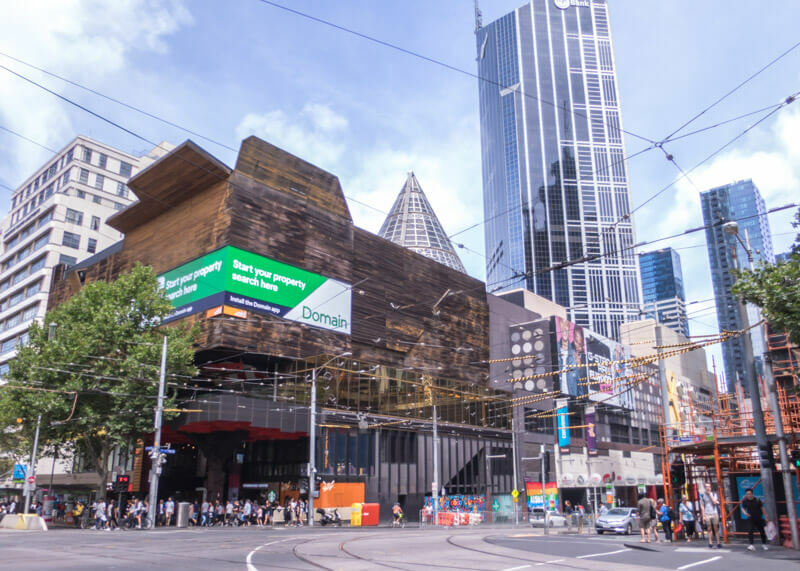 My thoughts were later confirmed when I found out while in Melbourne that this city held the title as the most liveable place in the world for over seven years. In a way, Melbourne reminded me a bit like Chicago with its interesting architecture. The buildings are very colourful and full of personality…to me at least. The streets were also very vibrant and full of people. Remember how I mentioned that we met some inspirational people in month two in Thailand? Well, we met a man named SH in the middle of Sukhothai and made plans to meet up when we got to Australia. Well, fast forward to five months later, and we were finally meeting him and his lovely wife in Melbourne! They live about an hour away from Melbourne and came to the city just to meet up with us. Since we had time on our hands and they were in no rush to go home, we spent the whole day meandering around Melbourne. We learned about their lives and felt connected to them throughout the evening. Their lives are very inspiring, and they’ve done quite a bit of travel in their lifetime. They even spent two years on a boat! 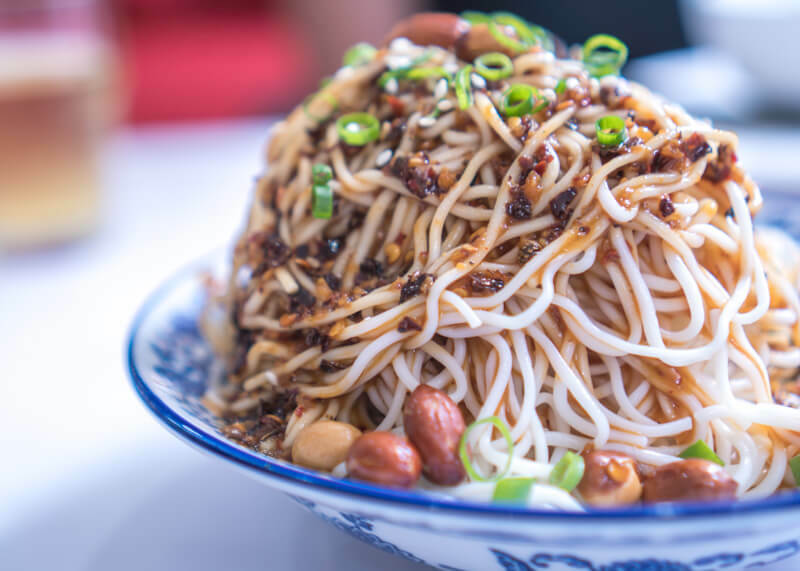 These cold noodles are so delicious! Sometimes you meet the warmest people, and you just know that you were meant to cross paths. That is what my gut told me when I met them. Saying goodbye to them was bittersweet. I still remember the warm hug that his wife gave to me when we said our goodbyes. We later learned that they would be in Taiwan in September, just 1.5 months after we leave! Too bad we will only miss them by less than two months. 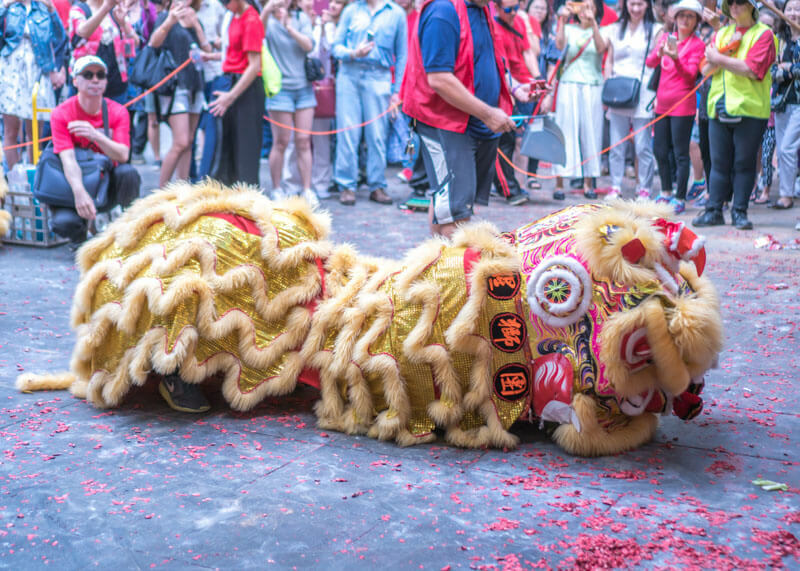 It was nice to see how Melbourne celebrates Chinese New Year. Maybe I live in the wrong part of Canada, but I don’t recall ever seeing this many people going out for Chinese New Year. 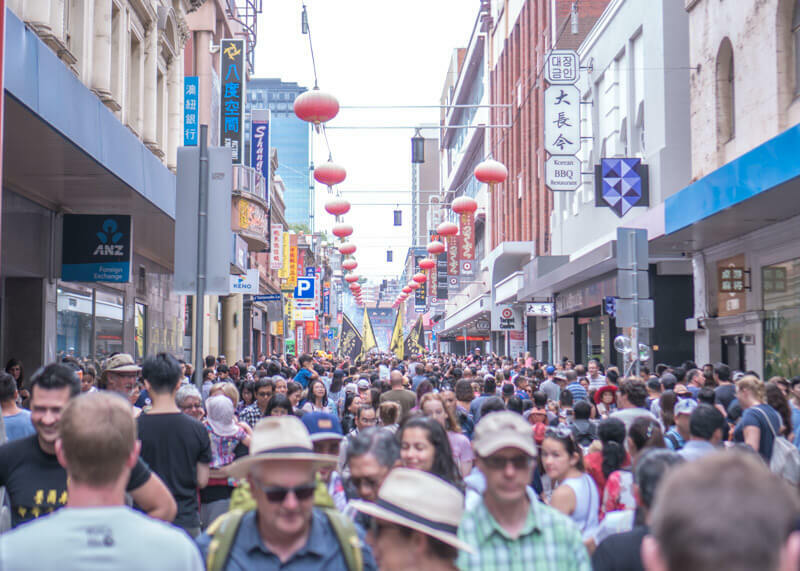 Nonetheless, I was quite impressed at how big of a deal the Australians make of Chinese New Year. While Melbourne’s Chinatown is much smaller than Toronto’s Chinatown, I found it to be much cleaner and more modern than Toronto’s. We knew that food in Melbourne is expensive so we naturally upped the food budget accordingly. It was a pain because we had a strict budget to follow to ensure that our funds lasted for a year of travelling. Surprisingly, it wasn’t that bad! At first glance, you might experience sticker shock from the high prices but it’s actually comparable to North America. But you have to factor in that taxes are included in the price and there’s no tipping in Australia. That, and we found the portions to be quite big in all the restaurants we ate at while in Melbourne. 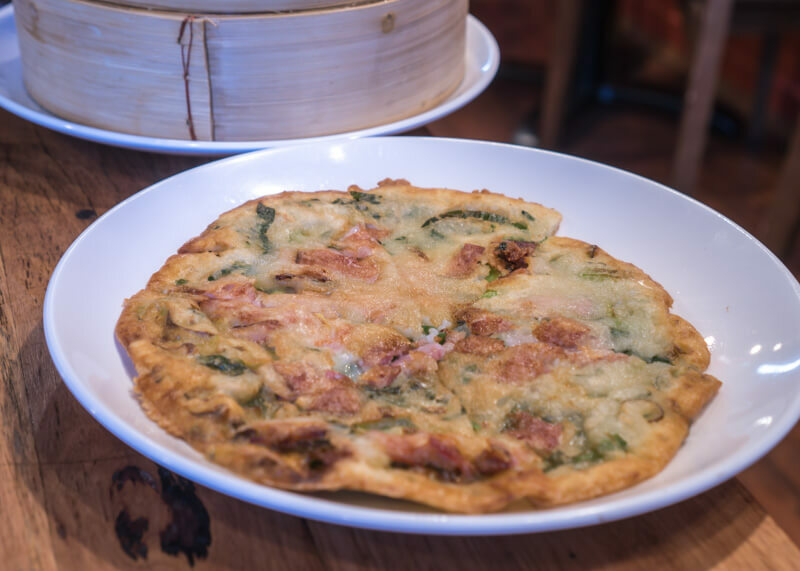 Homemade spring onion pancake with bacon $7.80 AUD. Definitely a lot pricier than usual but delicious with bacon! After spending a few days in Melbourne, it was time to visit the Great Ocean Road! I have to say, it was very very fun exploring the city and seeing all that Melbourne has to offer. 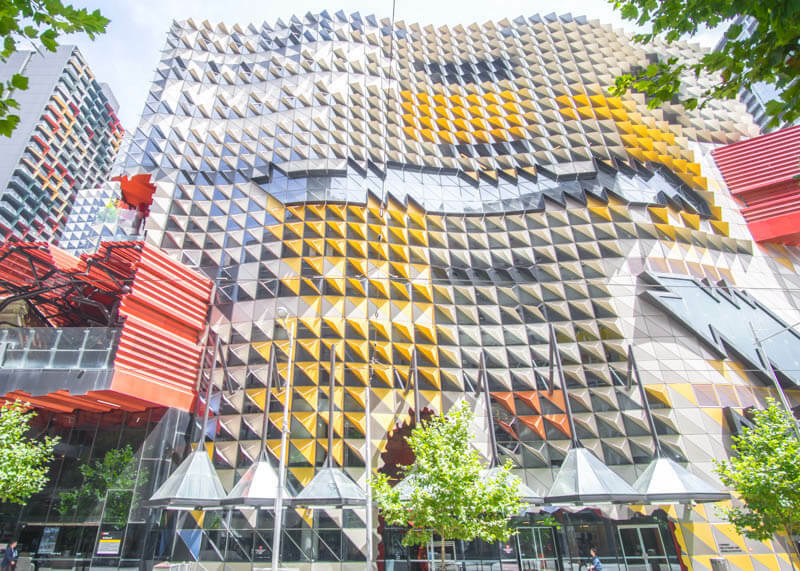 Have you been to Melbourne? Share your experience in the comments below. What did you think of the city? Would you live in Melbourne?